Here at everythingbiorb.com we strive to provide the best customer service possible. As an online company, one of the areas we help customers with the most is shipping. We do our best to ship out the orders we receive as soon as possible! We are going to explain the shipping process and what you should expect from the different methods of United States Postal Service (USPS). We are located in Lindon, UT, which is approximately 40 miles south of Salt Lake City, UT. The main hub for USPS is in Salt Lake City. Everything we ship with USPS is collected and scanned by our local Post Office in Pleasant Grove, UT and is then transported to and shipped from the Salt Lake City hub. Our offices are open Monday through Friday from 9 Am to 5 PM MST. There are few exceptions pertaining to major holidays that USPS observes. Those holidays include: New Years Day, Martin Luther King Jr. Day, Washington’s Birthday, Memorial Day, Independence Day, Labor Day, Columbus Day, Veterans Day, Thanksgiving and Christmas Day. On the days that we are in the office we print all of the orders that we can before 2:00 PM MST in order to give us time to get the order ready for pick up. USPS typically picks up from us sometime between 3:00 to 3:30 PM. When we arrive at the office at 9:00 AM we will print all of the orders that have come in since the last print of the previous working day. On Mondays that would include Friday after 2:00 PM up until the time of our first print on Monday. Later in the day we will do a final print at 2:00 PM in order to print all orders that came in after the first print of the day. Every order we print that day is then prepared for pick up by USPS. When we print your order using our software, a tracking number is generated. Our system will then immediately send you an email to give you that tracking number. However, the tracking number will not update until the Post Office has had the chance to pick up your order and scan it into their system. As stated previously, they do not pick up from us until approximately 3:00 to 3:30 PM MST. Therefore, the Post Office still needs to transfer the package to their sorting facility in Pleasant Grove, UT and then scan it into their system. Typically, the Post Office scans in the orders around 8:00 or 9:00 PM MST. At this point you will be able to check the tracking on the USPS website. After the order has been initially tracked the tracking should update every 1 to 2 days as the package passes through USPS hubs and gets scanned. However, there are times when the tracking fails to update every 1 to 2 days. We advise patience because this can happen from time to time. In my personal experience with helping customers I have seen a package not update for up to 7 days. The package left our location and was scanned in that night; the next time the tracking was updated was the scan they perform once the order is delivered. Having dealt with thousands upon thousands of USPS packages we don’t worry about a package if the tracking hasn’t updated until 7 days after it was picked up. Then we begin to fear that the order may have been lost. USPS is very reliable, however, there is a chance that your order may get lost. The Post Office loses less than 1% of all of our shipments. We apologize if you are the unlucky customer whose order has been lost by the Post Office. We typically give the order 7 business days before we will ship out a replacement. If by chance we do ship out a replacement order and both orders show up to your location we ask that you write “REFUSED” on the 2nd package that shows up and give it back to the postal worker so that it comes back to us. If not, contact us and we will find the best way for both parties to get the package back to us. Shipping estimates from USPS are for Business Days only. Business days are considered Monday through Friday. The day your order is picked up by USPS does not count as a shipping day. Therefore, if your order is a 2-Day Priority Delivery shipment and you order on a Friday then your order has until Tuesday to arrive to your location and be considered “On Time” and within their estimation window. Monday is the first “shipping day” and Tuesday is then the second “shipping day”. The only USPS Money Back Guarantee service is the Priority Mail Express method. All other methods, including Priority and First Class, do not come with a money back guarantee. This means that if they do not deliver your package within the “Estimated Time Frame” they will not give you your money back unless it was a Priority Mail Express shipment. Once we have processed your order and it has been picked up from our location the order is literally “out of our hands”. We are not the Post Office. We ourselves are not in charge of what USPS does with your package. We simply contract with USPS and pay them on your behalf to have the order shipped to you. If there is a problem with your order we will do our best to resolve the issue. We have had instances where an order was addressed to New York and 3 calendar days later, but only 1 business day later, a customer called angry because his order was in Puerto Rico. The order ended up arriving within the 3 business day time frame. (Which also means it was considered to be on time) Why did his order go through Puerto Rico to get to New York? We don’t know; ask the post office. We were accused of changing his shipping address and we would never do that. It does not make sense for us to ship any order to any other address than what we are given. That would only cause us more problems and we would not stay in business very long. Once we ship your order the amount of time it takes to get to you will depend on the service that you requested and the performance of the Post Office. We do not offer this shipment as a standard shipping method that can be chosen upon purchase of your order. The only instance we have used this method is when a customer has requested their order to be shipped using Fed Ex Overnight or Two Day shipping and the customer only has a PO Box address. PO Box stands for Post Office Box, meaning the Post Office technically owns the box and very rarely, except in rural areas, does the Post Office allow other shipping companies, such as Fed Ex or UPS, to deliver to a PO Box. In these cases, we first try to see if the customer has a physical, or non PO Box address, or if they have a family member or friend who has an address that Fed Ex can deliver to. If PO Box is the only option and the customer needs the item either overnight or in two days, we will then ship the order using this method. Again, it should be noted that all shipping days are business days only and the day the order is picked up is not counted as a shipping day. Therefore, if the order is placed and picked up on Friday and is a 1 day shipment the order will not be expected to arrive until Monday. Also note that this shipment method is the only USPS delivery method that comes with a money back guarantee. Therefore, if it does not arrive at the specified date, you are eligible to receive a refund. “In most cases, the expected delivery date that is printed on your receipt or provided at checkout will reflect a delivery time of 1, 2, or 3 days based on origin, destination, and Post Office™ acceptance time. Exceptions and restrictions apply. Visit Priority Mail for details. (Footnote 1) In most cases, the expected delivery date printed on your receipt or provided at checkout will reflect a delivery time of 1, 2, or 3 business days and is based on origin, destination, and drop-off time. The expected delivery date does not come with a money-back guarantee. First class is from 15 ounces of weight and below. Anything that is 16 ounces and above must be shipped using Priority Mail. Priority does tend to arrive before first class packages. However, there has been the occasion when first class has been as fast as Priority Shipping. Priority is more reliable. We very rarely have a Priority Mail shipment get lost. As we stated earlier, less than 1% of all shipments get lost every month with USPS and maybe 1 to 2 of those lost shipments are a Priority Mail shipment spanning the entire year. A lot like the Priority Shipping Method, the post office does not grant any refund for a late shipment for the First Class shipping method. They will give you an “estimated” date of arrival however; if it does not arrive by that date there will be no reimbursement given. We will happily ship your orders internationally but with our BiOrb products it can sometimes get a bit tricky, depending on the girth of the shipment of course. We frequently ship orders to Canada. (At this time we limit our International Shipping to Canada. We apologize for any convenience this may cause you. 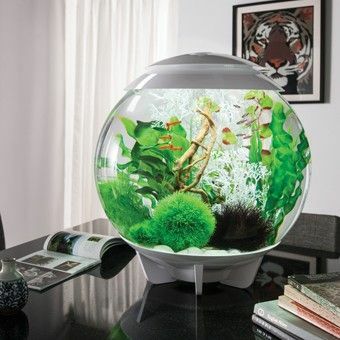 If you are from Europe the BiOrb Fish tanks is actually owned by Oase which is a German company. You can find all the BiOrb items at a much closer location to you) The reason we continue to ship internationally is because it has been very reliable for us. If we had orders constantly lost or damaged going internationally, it would not be monetarily beneficial for us. We seem to have less problems with international shipments than we do with our domestic ones. It seems as if the Post Office takes better care of their international orders (as they should because it costs the most). The shipping process to get the order out the door is the same. We print and ship all orders as soon as we can so it can be ready for pick up. With international orders, they get to our local hub, Salt Lake City, and depending on what country they are being sent to, they will be sent to an international hub. Most commonly we have seen them go through Los Angeles. From the international hub they are sent to the destination country. When they arrive they will have to go through customs. We have seen customs take anywhere between 2 days to up to 7 or 8 days. It must be noted that you may be charged duties, taxes and customs fees for your shipment. We do not cover these duties, taxes and customs fees. From customs the order will continue to your address. Throughout the process if your tracking has not updated in a while that typically means your order is waiting through the customs process. Note on International Shipments – Depending on the girth of the shipment we may elect to use an alternate shipper for the package. We have found that UPS does well with our larger and more valuable shipments to Canada. Many of these cases have come because some of our customers are used to Fed Ex or UPS delivering all of their packages to their door. However, if you selected a USPS shipping method or you chose free shipping and we chose a USPS shipping method, then many times the item will be in your mailbox. We have had many instances where tracking states that the item was delivered in or at the mailbox and the customer frankly had not checked their mailbox. Items that you order the most, such as, replacement filters, air stones, and cleaning pads are all small enough to fit in the mailbox. Therefore, if your order shows that it has been delivered, we first ask that you check your mailbox and the immediate area surrounding your house. Also, if you put a PO Box address or have you mail delivered to a box/storage location, you will need to check there also. If, in fact, you have checked all of those locations and they are not to be found, we will then treat it like a lost order and send out a replacement item. We are all humans and can make mistakes. We often have items returned to us because of address errors. We first ask that you please double check the address you are putting on your order and make sure it is going to the correct location. If you have chosen the free shipping method and the item is returned to us because of a bad address, we will then ask you to pay for the item to be shipped out to you again. If you have paid for shipping the first time we will assess the situation and speak with you, the customer, about the steps that will be taken to have the order re-shipped. Once we get an order that comes back to us in the mail because of a mistake in the address we will contact you to notify you that we received back your order and then also inform you if you will need to pay for the order to be re-shipped or not. There is a package intercept option that the post office offers; this is for packages that are in transit. However, this option comes with what ends up being a $20 fee from USPS. If you gave us the incorrect address and can’t wait for the shipment to come back to us and we ship it back out to you you can pay the $20 fee and we will have the package intercepted and changed to your new location. The quickest way to fix the problem is the package intercept, which comes with that $20 fee. The next quickest way is to place a new order and we ship that out to the correct address and wait for the other package to come back to us where we will then refund that order. The slowest but most cost efficient way is that you wait until the package comes back to us and depending on the shipping you paid initially we may have you pay a small amount to have it re-shipped or we will just ship it back out to you. Also, we only ship orders to the addresses we are given. It does not make sense for us to change an address on an order and intentionally ship an order to a different location than what we were given. That would make you, the customer, unhappy with our service. As a small business, we survive on providing the best customer experience we can so that we can have customers continue to use our services because we are dependable. We will not jeopardize our reputation by changing an address on an order. ‹ Direction On How To Use A Fish Antibiotic Powder Packet In Your BiOrb Fish Tank.